Why do I need Sponsor? 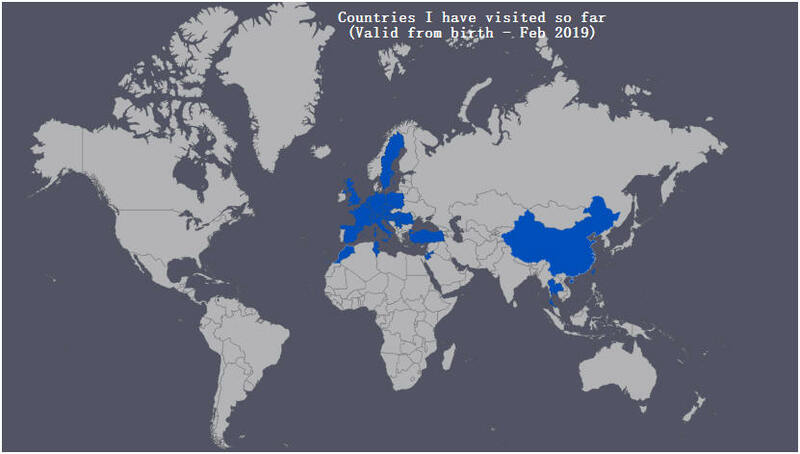 My biggest dream is to leave my footprint on every country of our planet, so far I only have visited the following countries showing on this map at the below, as you can see, there are still a lot of countries I haven't set my foot in as yet. The biggest challenges for me to fulfil my dream are : Money and Time. For time, I can overcome it by making it myself. However, for money, although, I always make my own money by working hard for it, but it would be much appreciated that if you could top it up for me as more money I can receive, it will make my dream comes easier and faster! 2. Help you to promote your business: I can feature your business on my youtube channel, instagram page, in my blog and facebook, so you can get more customers for your business when my fans see how good you are, and pay a visit to it. Otherwise, please help me to top up my travel funding by making some donations, thank you very much!